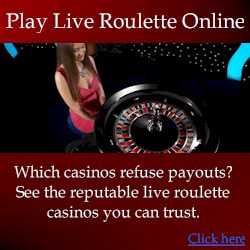 If you like to play online casinos, forget power roulette because it’s designed for the real wheel. 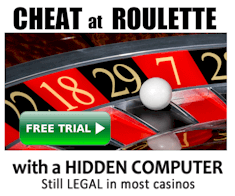 But if you like the real casino environment as I do, power roulette has something to offer. It is definitely not fraudulent. However to be successful with power roulette requires a lot of practice and is not for the beginner. Most players will find power roulette difficult to master and not many people have that kind of time to dedicate. Ultimately does power roulette work? Yes, it does (or rather it CAN) but there is a lot of guesswork involved. It was tested over a three day period in a real casino and I produced a small profit of $325. This result may seem insignificant but consider the house edge on the American wheel and you’ll understand this is a pretty good result. Over longer tests with lists of real spins from Speilbank Harmburg, a clear loss was made. If you want power roulette to work for you, you will need Suzanne’s close guidance, lots of practice, the right conditions which are unfortunately very hard to find. Probably it’s greatest problem is it requires too much guesswork at the wheel so whether or not it truly works cannot be established. As power roulette is presented, when you lose you can lose big because progression betting is used (increasing bets to cover losses). If you play with flat bets you can still win, but it’s the rare conditions that you need that makes winning difficult. VERDICT: Utilizes dealer signature which is a valid principle when applied correctly. By default you are supposed to use progression betting which can lead to big losses. Power Roulette with flat bets does beat the house edge under the right conditions, but the right conditions are unrealistic, and very difficult to come by. On most wheels you will have no advantage at all. However if rare conditions are found, it can produce good winnings. Overall a good system but quite expensive for what it is.